A former Knox County trustee's office employee accused of stealing money from the county will plead guilty to federal charges of bank fraud and conspiracy in an unrelated case, according to court documents. 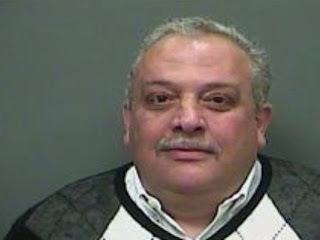 IRS and FBI agents arrested Ray Mubarak, 54, his wife, Dianna Mubarak, 52, and Blythe Bond Sanders III, 35 in March. A federal grand jury indicted the trio after investigators say they tried to defraud five banks from 2007 to 2011 through fraudulent loans. Court documents show the trio used false loan applications, forged documents and filed false tax returns in order to receive lines of credit and loans from Pinnacle National Bank, SmartBank and Bank of America. 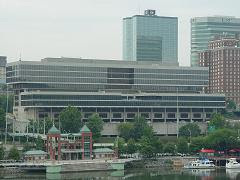 The loans added up to more than $6.7 million, according to the U.S. Attorney's Office for the Eastern District of Tennessee. Mubarak originally pleaded not guilty. He will plead guilty to one count of conspiracy to commit bank fraud, three counts of bank fraud and one count of engaging in unlawful monetary transactions. Prosecutors will ask the judge to dismiss the remaining counts against him as part of the plea deal. Mubarak is set to appear in court on Monday. The agreement doesn't include a sentence. Each bank fraud charge carries a maximum sentence of up to 30 years in prison, a fine of up to $1 million and restitution. The charge of unlawful money transactions could earn Mubarak up to 10 years in prison, a $250,000 fine and restitution. Mubarak is still awaiting trial in the Knox County case. He's accused of serving as a so-called "ghost employee" and receiving pay for work he didn't do. A judge granted a delay in that case after the federal charges were filed.